Cancer chemotherapy has seen limited success, with only a handful of curable tumor types. Over the past 30 years new insights into cancer cell biology have illuminated how malignant cells develop resistance to chemotherapy. One of the initial keys to understanding how chemotherapy kills cancer cells was the discovery that drug-mediated programmed cell death, or apoptosis, required the opening of mitochondrial membrane pores. Pore opening leads to mitochondrial release of the final mediators of apoptosis. As research advanced at the turn of the Millennium, it became apparent that altered regulation of mitochondrial pore opening by a myriad of cancer-related signal transduction pathways was a fundamental cause for drug resistance. While chemotherapy-mediated DNA damage leads to the upregulation of pore-opening proteins in the BAX family, the cancer cell circuitry upregulates proteins in the BCL2/BAD family that oppose pore opening. When the BCL2/BAD family members are in excess of the BAX family, pore opening is blocked, and the cancer cell is resistant to chemotherapy. Over the past decade, a clearer understanding emerged regarding how these drug-resistance pathways were upregulated in cancer cells. Research into stem cell signaling pathways led to the insight that cancer cells utilized bone marrow stem cell pathways for drug resistance that were coupled to increasing BCL2/BAD expression levels. The cancer stem cell phenotype appeared to be acquired during the epithelial to mesenchyme transition (EMT), a de-differentiation process linked to aggressive metastatic behavior. The realization that mitochondrial pore closing pathways were amplified to a greater extent in cancer stem cells than in hematopoietic stem cells explained why we cannot cure most cancers. The degree of chemotherapy-related DNA damage required to upregulate pore opening in cancer stem cells turned out to be beyond the capacity of normal hematopoietic stem cell and patient tolerance. 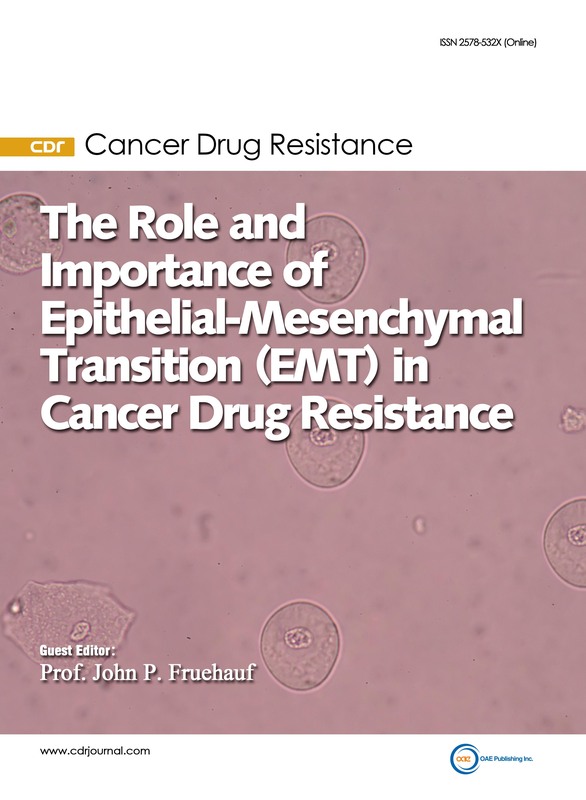 Thus, the development of new agents that target the EMT/cancer stem cell phenotype has emerged as a new paradigm to reverse cancer cell drug resistance. This issue will address how new insights into the mechanistic underpinnings of EMT and cancer stem cells may foster the development of novel treatment strategies to restore chemosensitivity.